In his short time among the plazas of the Patchwork Market Saeed had found himself remarkably comfortable. Despite its eccentricities it reminded Saeed of the place where he had grown up. A short time ago he would have thought about the souk as 'home', now he could not apply that concept to its dusty alleys and faded awnings. Saeed realised that his home had been with Yesha, his mother, when death had come for her his attachment to the souk had ended. In the mean time it seemed that he had to wander through a world of strange and wonderful things, and that was not such a bad fate. Sometimes, however, he had to endure the company of tedious people. Sometimes he had to perform tasks that caused him moments of fearful concern. Still, he reasoned, everything worth having has a price attached; a thief should know this better than anyone. "So, you are really a princess?" Saeed asked the tedious person to whom he was currently attached. It was the morning after their first acquaintance. "Technically," the rude young woman in dark juggler's garb replied. Her brow appeared to be continuously knit, her lips pinched, her manner terse. "I have never met a technical princess," Saeed grinned. "There again, my experience of princesses, as a whole, is not extensive." "You amaze me," the girl replied. "Princess... Butterstone," Saeed said, testing the water. "As your brother is Prince Butterstone." "I see why Kalico likes you," Princess Butterstone said drily. "You're a bright boy." "So, where is your brother?" Saeed asked. "And how may we return him to you unharmed." "My brother," Princess Butterstone said, fixing her gaze across the gap between the plaza on which they stood and the next. "Is in there. How you and I are going to get in, rescue him and get away unharmed by the time of the closing bell this evening... Well, that's, apparently your part of the plan." Saeed turned his own attention to the adjacent platform. Unlike all the other plazas that he had seen this one did not bristle with a profusion of coloured pennants and awnings. There were a few market stalls but the awnings above these stalls were all a uniform muddy green-grey. It was impossible, from this distance, to make out what these stalls sold. The platform was also unusual in that a number of permanent structures obscured the view of its centre. Although each platform tended to be crowded with shop fronts the stalls were often restricted in height. This allowed clear visibility of the high hanging pennants of stalls right the way across the plaza. Saeed knew that the design of a souk was not as accidental and chaotic as it might appear. Traders came to a complicated number of agreements concerning acceptable behaviour and fair-play. He did not doubt that the reason for the high visibility across platforms was out of one of these arrangements. The inhabitants of this plaza did not adhere to the general rule. Saeed guessed that the only reason for this could be that one person controlled the entire plaza. "What is that place?" Saeed asked the princess. "That is Sir Vaskorn's plaza," Princess Butterstone told him. "He has innovated in market trading. He offers the wealthy patrons of the Patchwork Market the sale of military services." "Military services?" Saeed asked, not sure that he understood. "If an ambitious noble has more wealth than available manpower he can hire an army from Vaskorn. The soldiers will work until a campaign is complete, or until the money runs out." "Hire an army?" Saeed was not an expert in military strategy but he did not like the sound of an army available in exchange for money one little bit. "I told you Vaskorn was an innovator," the princess said. "I never said anything about scrupulous." "So he controls that entire plaza?" Saeed asked. "The place is a fortress," the princess said. "He has reception rooms for his clientele, facilities for his scouts. 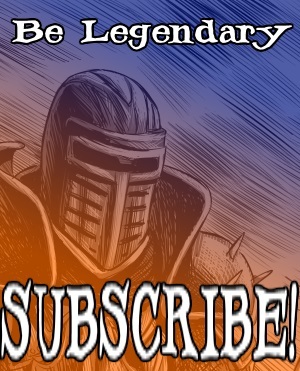 He commands a personal guard of highly trained and dedicated knights. He also has his cellar." The princess coloured the word 'cellar' darkly, Saeed believed that he understood the inflection. "The cellar," he said. "Is that where he is keeping your brother?" "It is," Princess Butterstone said. "So, if he is keeping your brother in the cellar beneath the plaza why not just report him to Kalico?" Saeed asked. "I reported my brother's abduction to the Master-Sergeant of the watch," Princess Butterstone replied. "There's nothing they can do. Vaskorn has no interest in threatening trade in Bridgetown. For the Watch to attack the plaza of a fee-paying merchant would be, as they put it, 'bad for business'." "So Vaskorn wished you to assassinate that mermaid in exchange for your brother's life?" Saeed asked. "That was the deal," the princess said. Her tone of voice was tight again, the matter of Saeed foiling her attempt was clearly still an open wound. "Princess, I am aware that I am nothing but a dirty thief. I am not even worthy to breathe air within your presence, but I flatter myself that I know something of men like this Vaskorn," Saeed said. "I believe with all my heart that once a man like this has you within his power he will not honour the terms of a fair agreement." The princess sighed, her head hung down. For the first time she wore a look upon her face that was not any variety of anger. She looked, rather, sad, even defeated. "Saeed," she said. "I fear that you may be correct." "Princess," Saeed said, trying his hardest to sound like a man of purpose, even though he did not believe himself to be more than a boy. "Please have faith in me when I say that it is more than merely my desire to see you reunited with your brother. Indeed, it is required if I should find peace within my own soul, for my own reasons. So, with the skills and resources that I was taught in the place of my birth, I vow, I will return your brother to your side." "You speak elegantly, for a street thief," Princess Butterstone said. "However, I do not see any way for you to complete this task." "Pardon me if I speak out of turn," Saeed said. "But as far as I can tell the most difficult part of this task will be to gain entry to Vaskorn's cellar. If we can gain entry I believe we may well stand a chance of escaping together with your brother. Men like Vaskorn are proud and pride breeds arrogance. He is so confident that nothing can get into his domain that all his defences will be turned to that end." "You may be right," the princess said. "It doesn't really matter. I have surveyed every way in and out of the plaza, it is impenetrable." A recent memory shifted in Saeed's head, something Patchwork Jack had said when the ghostly guide had given Saeed the tour. "That may be true here in Bridgetown," Saeed said. "Is it also true on the other side of the crossway?" "The other side of the-" Princess Butterstone faltered to a stop, a look of puzzlement on her face. "You mean, the world of mortal man? Don't be ridiculous, we can't go there." "The mortals are dangerous, we cannot risk allowing them to gain access to Bridgetown. Any doorway we could open goes both ways, that is basic magic." "I know little of magic, Princess," Saeed replied. "I do know of one person who might be able to help us, as long as we find him before he returns home." Saeed went looking for a guide. Before long he met up once more with Patchwork Jack who was happy to lead Saeed and the Princess to Joshua. They found him in front of a stall belonging to alchemical sundries supplier. The alchemist examined various jars of powder, picking them from a rack to lift them into the light. "Saeed," Joshua said as the pair approached him. "I had not expected to see you again so soon. To what do I owe this pleasure?" "Mister Joshua," Saeed said. "I am sorry to disturb you again this day but we are in urgent need of magical assistance, a man's life is at stake." "This sounds serious," Joshua said. "You had best tell me all about it." Saeed related Princess Butterstone's problem. He showed Joshua the vantage point where Saeed had studied Vaskorn's Plaza earlier. Joshua listened carefully to Saeed's thoughts. "The princess is not wrong about the mortal world," Joshua told Saeed. "Even a short visit would be risky. I do, however, see the merit in your plan. I'm going to guess that this Sir Vaskorn has some basic magical detection devices. It is even possible he has his own sorcerer, alchemist or warlock on the payroll. You will need to carry out your plan with utmost caution." "I am used to treading carefully," Saeed said. "The rooftops of Afsana are not built to the highest standards." Joshua put his bag down on the floor and undid the clasp. After a moment's rummaging he pulled out a small hourglass held in a carved frame of wood held together with stout brass screws. "This," Joshua said, holding out the hourglass to Saeed. "Is a Static Transdimensional Chronotranslator, or, in a less alchemical tongue, a Shadow Timer. Use it when you step through a crossway, the timer lasts for five minutes. No matter where you are when the final grain of sand falls you will be transported back to the opposite side of the crossway." "What is a crossway?" Saeed asked. "A crossway is a portal between Faerie and another world," Joshua replied. "In Bridgetown the crossways link up to a mortal world. I've been there myself. It will be a challenging environment so you must be cautious during your time there." "I have never seen such a thing Mister Joshua," Saeed said. Now that he had the means to travel between worlds he felt a small whisper of worry and doubt tugging in his gut. "I can show you one nearby," Joshua said. "I have, in my time, made extensive study of crossways, thankfully the Patchwork Market is full of them." "Can I go with Saeed?" asked the princess, who had remained silent until now. "I'm afraid not, my lady," Joshua replied. "The magic of the Shadow Timer will only work for one person." "Then I should be the one to go," the princess said. "Indeed, princess," Saeed said. "Are you intending to interfere with my promise to Kalico? I must rescue your brother. Without wishing to appear rude I would also like to point out that when it comes to stealth I have proven myself your superior." "So what am I supposed to do?" Princess Butterstone asked, fire in her voice. "Stand around outside and wait?" "If I might be permitted, my lady," Joshua said. "It appears unlikely to me that Saeed will get all the way in and all the way out without being discovered. At some point, and I trust this will be upon the point of the daring escape, he will probably require use of a lucky distraction." Saeed thought of objecting at Joshua's certainty that he would be discovered. Then he realised that it was not the doing of the deed that would slow him down. Rather, it was the escape with a confused and frightened prince in tow. The tug in his guts grew stronger as he understood that Joshua was probably right. Joshua reached inside his bag and pulled out something that looked like a black circle. With a flick of the wrist the circle popped, turning into a tall hat. "This," Joshua said. "Is not one of mine, it is a sorcerous acquisition. Saeed, if you are unfortunate enough to be discovered about your business please try to make things as noisy as you can. My lady, when you hear the hue and cry, put the top hat on your head, cross your fingers and wish as hard as you can for some luck." He held the hat out to Princess Butterstone. The princess took the hat gingerly, as if she thought it may bite her hand off. "And that," said Joshua with an air of finality, "is all I have to offer." "Mister Joshua," Saeed replied. "I cannot begin to tell you how much your assistance will mean to myself and the princess." "Nonsense, Saeed," Joshua smiled. "You returned this bag to me, without which I would not have been able to offer my help at all. Also, I think it is always a good thing to find yourself in the favour of a royal line." Joshua turned to the princess and tipped a flowing, elegant bow. "My lady," he said, "it was my greatest pleasure to make your acquaintance." He turned to Saeed. "Come now, Saeed, we have business to attend to. Let's rescue this prince before night comes to the Patchwork Market." Joshua lead Saeed across three bridges. They crossed two plazas round to the main bridge crossing to Vaskorn's platform and then one plaza away from that. The plaza on which they found themselves was a huddled flea market that reminded Saeed of the darker corners of the Afsana Bazaar. Joshua entered the back of a low stall selling various items of houseware. Most were in need of repair or, it appeared, abandonment. "Gimlet?" Joshua called. "Are you there?" "Joshua?" came back a voice. "Is that you? Have you come for tea?" A tiny, ancient goblin appeared from the mounds of broken pots, kettles, lamps and other sundries. "I can stay for a cup," Joshua said, but I have a young man here who requires the use of the staircase, if that would be agreeable." "What's anyone want to go down there for in daylight hours," Gimlet complained. "I only use 'em myself but once a month now. The people on the mortal side don't throw away nothing useful hardly ever any more." "He has a chore to take care of," Joshua replied. "A tedious business, I will not bore you with details." "No. Details are always most tiresome," Gimlet agreed. "Very well, this way." Gimlet moved into the back of his low stall. In the far corner, hidden away behind stacks of junk, was the end of a spiral staircase. It lead downwards, after one turn the stairs were obscured with shadows. The head of the stairs was hung across with a grimy faded red velvet rope. Gimlet unhooked the rope and motioned for Saeed to descend the stairs. Before he could take a step, however, Joshua put his hand on Saeed's shoulder. "Turn the Shadow Timer over as you step from the lowest step. Vaskorn's platform will be in roughly the same location on the mortal side of the crossway as it is here. Do you know which way to run?" "I do, Mister Joshua," Saeed answered. "I have a good sense of direction." "I don't doubt it. Good luck Saeed, you will have to let me know how this endeavour worked out." "Mister Joshua," Saeed said, "I am forever in your debt." "Then you can repay me," Joshua said, "By rescuing that prince from Vaskorn's prison." With those words Saeed descended down the cold metal staircase, into the gloom below the Patchwork Market. The further down Saeed went the colder the air became. At the foot of the stairs the light from above was very dim. Only a single shaft of light filtered down from Gimlet's stall far above. The shaft of light showed that the ground at the bottom of the stairs was bare earth. There were no clues as to whether the surroundings were a room or a cave. There was no sign that Saeed was standing at a crossway. Bracing himself Saeed stepped from the stairway, at the same time he flipped the Shadow Timer. The floor Saeed stepped onto was not earth, but paved. Light flooded the scene, bright enough to make Saeed blink but not so bright that it blinded him. Saeed looked behind him to note that he appeared to have stepped down from a pair of stone steps barred by a metal gate. To Saeed's left the alley into which he had stepped terminated in a cluster of tight doorways. To his right the path opened out onto a brightly lit street. Cautiously Saeed walked down the alley to reach the street. He could see strangely dressed people walking back and forth. There was nothing in their physical appearance to indicate that they were not regular folk. Before stepping out Saeed peeked around the corner of the alley way. He was greeted by a low rumbling noise. A gigantic metal carriage rounded a corner up ahead. It growled and rolled quickly towards Saeed's location. Some form of magic powered the carriage because it had no animals drawing it forward. It was a weird looking thing, low to the ground, shining like a beetle. Saeed could see a mortal inside the carriage looking out of a single long window. Saeed guessed that the magic powering the carriage had to be very potent, the carriage moved with incredible speed. It passed Saeed on his right side, the driver ignored him. Once the metal carriage had disappeared from view Saeed took a second to get his bearings. If he headed in the direction the carriage had come from he should be nearer the location of Vaskorn's platform in Bridgetown. Before moving Saeed checked the shadow timer, the sands were nearly halfway through. He hurried up the street. Up ahead of him a tall, grey building came into view. The design of the front entrance was not dissimlar to that of the Master's Tower back in the Patchwork Market. This building was much wider and more imposing. On the far edge of the building was an open gate, steps lead down into a cellar area. Saeed slipped through the gate and started descending the steps. "Hey! You! Excuse me!" a voice called out from down the street behind him. Saeed turned to see who had addressed him. A man dressed in the manner of many of the more well-to-do patrons of Bridgetown hurried up behind him. He was red in the face from anger and puzzlement. "You can't go down there," the man said. "That's not for members of the public." "Many apologies, esteemed sir," Saeed said, grinning his most charming grin. "I do not think I am a member of the public. I am just a humble thief who has foresworn dishonesty. I am on a quest to rescue a prince and I must gain access to this area with much swiftness." "Look, son," the man said. "If you want to see the exhibition then you have to come in the front way like everyone else. What's going on with your outfit? It's a bit cold not to be wearing a jacket." "Alas, sir," Saeed replied. "Fate has not seen fit to furnish me with more appropriate garments. I would dearly love to enter this place by your desired entry point. Unfortunately the circumstances of my mission dictate that it is not to be." Saeed cast an eye down to the shadow timer, the last few grains of sand were running through. "I promise, I will not be in anyone's way, at least, not for very long." With that Saeed turned, skipped down the last few steps and hurried through a door marked "staff only". He slipped inside the cellar of the building. "Hoy!" the red-faced man called after him. "Stop! I said you can't go in there." There was the sound of the door behind Saeed banging open as the man gave chase. Then, dark and eerie silence as the light in the area extinguished in a single moment. Saeed looked once more at the shadow timer. All the sands now lay still in the bottom bulb. The first part of the plan was over. Saeed looked about himself trying to get his bearings. He was halfway along a dark corridor, lit with oil lamps spaced so far apart that they struggled to cut through the gloom. The way that Saeed had come was now a dead end, in the left hand wall by the end of the passage was a stout wooden door. A hatch was fixed over a small window cut into the door a head above Saeed's eye level. "I know the look of a jail cell," Saeed muttered under his breath. He walked down the corridor and approached the door. He reached up and opened the hatch in the door. The meagre light spilling through the hatch roused a low moan from inside the cell. "Who's there?" said a voice from inside. The prince did not sound to be in the best of sorts. "My name is Saeed," Saeed said. "I have been sent by your sister to aid in your escape." "Are you invisible?" Prince Butterstone asked. "I cannot see you." "I'm afraid not," Saeed replied. "Wait just a moment, I'll open the door." The bolt for the cell was a stout iron bar shoved through a loop, locking down a metal shaft that extended three feet from the door's edge. Only the most supple of fakirs would have stood a chance of reaching out through the bars to pluck the bolt from its position. Saeed, being outside the cell, walked over to the fitting and pulled the bolt out of the hole. The door swung open easily. There was the sound of slow and painful movement from inside the cell. Prince Butterstone appeared at the doorway. "Is this a joke?" he asked, his voice was weak but his irritation was clear. Prince Butterstone did not look to be in the best of health. He had an ill-kempt tangled and matted beard that looked to be about a month's growth. He was painfully thin and his skin was sallow and shiny. He had to support his own weight by leaning on the jamb of the door. "No joke, noble prince," Saeed said. "My size and stature belie my abilities. I flatter myself to think that I have skills in stealth. I am also known for my athletic dexterity." "All of which would be great news if we needed someone to juggle knives," the prince complained. "I have to worry how we're going to deal with Sir Vaskorn." "There are reinforcements waiting, sir," Saeed replied. "We must only ensure that any encounter with Sir Vaskorn or his agents produces a great deal of noise." "Well," the prince said. "That certainly shouldn't be a problem. I hope your reinforcements are prepared for the fight of their lives." "I am confident that this will be the case," Saeed said. He thought it wise not to mention that all he knew about these reinforcements was that they would be 'lucky'. The prince appeared to have had a hard few weeks. Saeed reasoned that the royal youth didn't need further concerns to add to his already extensive catalogue. With the prince, if not happy, at least past caring about what would happen next Saeed lead him away from the cell through the cellar. Saeed, scouting ahead, got the impression that they were deep beneath the floor level of the platform. The first level was a 'C' shaped corridor with cell doors at all the corners. at the far end, opposite the cell door, was a stairwell. The first two cellar levels were not guarded heavily. Saeed and the prince managed to get through them without too many difficulties. Saeed wasn't certain but he believed that the third cellar level was the one below ground level. Unfortunately during the space of time it took for Saeed to scout ahead two men in armour had come down the stairs. They engaged in a lengthy bout of complaint at the stern demeanour of their employer. Workplace gossip, fascinating as it was, did not indicate that these men would turn on the man who paid their livelihood. The way was blocked, the longer Saeed and the prince stayed still the greater their chance of discovery. "We will have to find another way," Saeed whispered. "This is unfortunate, but I will get us through." "You said you needed lots of noise?" the prince asked. "Indeed, we must signal to your sister, who is in charge of the reinforcements," Saeed explained. "I think I might be able to help," the prince said. "Follow me." With the chance to taste freedom Prince Butterstone was coming back to his senses. He even looked a little like he was enjoying his new adventure, despite the evidence of his exhaustion. The prince led Saeed back the way they had come. They took a couple of corners that Saeed had identified as dead ends and went down a short flight of stairs. A passage at the foot of the stairs led round into a storage area piled high with crates, boxes and barrels. "This will definitely be noisy," the prince said. "I hope your reinforcments are prepared to deal with an enraged Vaskorn." The prince examined the outside of a few crates, picked one and opened it. He rolled a barrel to the foot of a ramp ending in a large pair of thick wooden doors. The doors were set at a slant to the roof indicating that they probably opened onto a service yard. Then, using a crowbar that he found on a table to one side of the room, he opened the top of the barrel. Inside the barrel was full of black powder. The prince laid a trail of the black powder coming back to the doorway, round the corner and back to the bottom of the stairs. "This could get messy," the prince said. "So we're going to have to be prepared. Maybe the whole place will come down on our heads. Are you ready?" "What do you mean?" Saeed asked. He had never seen this black powder before and could not guess what it might be used for. "Just..." the prince said, exasperated, "just... brace yourself." The prince pulled a small, flat metal box from his breeches. Heopened the box and pulled out a tiny stick of wood, the end of the wood was coated in something black. Prince Butterstone drew the black stick roughly against the outside surface of the box. Saeed was amazed to see it burst into flame. The prince touched the flame to the black powder. After a couple of seconds a stream of sparks lit up winding its way along the powder trail back to the storage area. The prince jammed his fingers hard into his ears and waggled his elbows, pointedly glaring at Saeed. Saeed copied the prince. No amount of fingers rammed into ears could possibly have muted the explosion that erupted a second later. For a moment after the sound that rattled his organs Saeed could not move. His head was ringing, his brain had lost all ability to process information. Prince Butterstone slapped Saeed's shoulder hard enough that the bottleneck of the senses cleared. "Come on," the prince said. "Let's see how far we can get." The prince's voice appeared to be calling to Saeed from a great distance away, even though the man was stood right next to him. Saeed had no time for confusion, as the prince turned back to the storage cellar Saeed forced himself to follow. The cellar room was a mess, splintered wood littered the floor. A cloud of shifting dust and smoke made it hard to see much. A brightly glowing patch of light spilled in through the door at the top of the ramp. The surface was tantalising feet away. The escapees hurried across the space and scrambled up the smooth surface of the ramp. They emerged in the main courtyard of Vaskorn's plaza. Once Saeed could see past the cloud of dust and smoke rising from the storage room the sight that greeted him made his stomach drop. Surrounding the exit were six heavily armed knights, lead by the imposing figure of Sir Vaskorn himself. The plaza's owner was six and a half feet tall, clad in a combination of plate and chain mail. His head appeared to be too small for his enormous neck. He did not appear, to Saeed's eyes, to be a man of cool temperament. Having a hole blown in his plaza had done nothing to soothe his spiky demeanour. "Butterstoooooone!" Vaskorn cried. The knight was so beside himself with rage that he plucked one of his own men off the ground from beside him. Vaskorn threw the unfortunate mercenary towards the prince and Saeed. Saeed ducked out of the way and the soldier flew past, screaming as he fell into the smoky cellar room below. Vaskorn's other men moved out of the reach of their furious master. Saeed looked up to see the prince, skirting the outside of the plaza, trying to dodge past a couple of Vaskorn's men. Saeed wanted to help, he scrabbled on the floor and picked up a rock. Taking aim he threw it at the head of one of the guards attempting to block Prince Butterstone's escape route. Saeed didn't have many offensive tricks in his arsenal. His skill at pitching stones was no more than a desperate distraction measure. In this case the tactic paid off. The stone hit the mercenary on the right temple forcing him to cry out and close his eyes. There was a loud cracking, splintering noise from nearby. Saeed turned to look in the direction of the sound. Vaskorn had torn a stake out of the ground. The pole was part of a set of stocks installed on one side of the plaza square. The enormous knight kicked some debris off the end and scooped up the five foot long wooden post to swing it like a bat. The post caught the fleeing Prince Butterstone in the stomach. The blow sent the unfortunate youth flying into the air. The prince landed on his back a few feet away, winded and unable to move. Vaskorn took a great stride forward to swing his club down and kill the prince. Princess, Saeed thought, where is the luck that we so sorely need? The wooden post did not kill Prince Butterstone. Luck, being what it is, chose that precise moment to come into operation. For the how and the what, however, we will have to wait until next time.